It’s hard to imagine a much worse scenario. The world’s leading smartphone company debuts a new device that initially is touted as one of the best smartphones ever made. Glowing reviews quickly follow and the company’s prospects for a strong fall and holiday season, and the opportunity for regaining some lost market share, seem nearly assured. But then a small number of the phones start to overheat and catch fire. The company tries to react quickly and decisively to the concern and issues a recall of several million already shipped devices. It’s a somewhat risky and certainly expensive move, but the company initially receives praise for trying to tackle a challenging problem in a positive way. Customers are reassured that the problem seems to lie not in the phone itself, but in a battery provided by one of the company’s third-party battery suppliers (ironically, most believe the culprit to be Samsung SDI—a sister company of Samsung Electronics). And then, the unthinkable. Replacement phones start to show the same problems and the company is forced to stop the production and sale of the device, encourage its telco and retail partners to stop selling it, and tell all its existing customers to stop using it. Just to add insult to injury, the US Consumer Products Safety Commission (CPSC) also sends out notes to consumers encouraging them to stop using the device, while the Federal Aviation Administration (FAA) and major airlines around the world reinforce the message they’ve been saying for the last several weeks on virtually every airplane flight in the world: don’t use, charge or even turn on your Samsung Galaxy Note 7. It’s probably the most negative publicity a tech product has ever seen. The long-term impact on the Samsung brand is still to be determined, but anyone who’s looked at the situation at all knows it can’t be good. This morning Samsung confirmed the inevitable, the Note 7 will be removed from the market, costing it billions of dollars, and there’s even been some concern expressed about Samsung’s ability to save/sustain the Note sub-brand. Part of the issue isn’t just the product itself—although that’s certainly bad enough—but the manner in which the company had been handling it. Reaction has quickly moved from praise for Samsung’s initial quick efforts to address the issue, to disbelief that they could let a second round of faulty products that are this dangerous get out the door. On top of that, there are many unanswered questions that need to be addressed. From a practical perspective, what is the cause of the problems if it isn’t the battery cell (the charging circuits?) and what other phones might face the same dangerous issues? Why did Samsung rush out the replacement units without actually figuring out what the real cause was? What kind of testing did they do (or not) to be sure the replacements were safe? Beyond these short-term issues, there are also likely to be some bigger questions that could have a longer-term impact on the tech market. First, what types of procedures are in place to prevent this? What governmental or industry associations, if any, can take responsibility for this (besides Samsung)? Will products need to go through longer/more thorough testing procedures before they’re allowed on the market? Will product reviewers need to start doing safety tests before they can really make pronouncements on the quality/value of a product? How can vendors and their suppliers work to avoid these issues and what mechanisms do they have in place should it happen again to another product? Some might argue that these questions are an over-reaction to a single product fault from a single vendor. And, to be fair to Samsung, there have certainly been reported cases of other fire and safety-related issues with electronics products from other vendors, including Apple, over the last few years. But when people’s lives and health are at stake—as they clearly have been with some of the reported Galaxy Note 7-related problems—it’s not unreasonable to question whether existing policies and procedures are sufficient. Our collective dependence on battery-driven devices is only growing, so it may be time to take a harder, more detailed look at safety-related testing and requirements. Given the breakneck pace and highly competitive environment for battery-powered devices, there will likely be industry pushback against prolonged or more expensive testing. 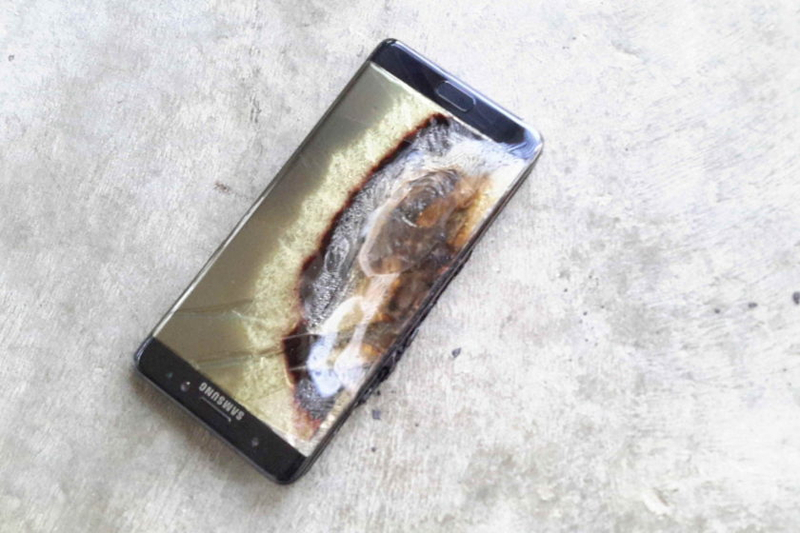 As the Galaxy Note 7 situation clearly illustrates, however, speed doesn’t always work when it comes to safety. Finally, the tech industry needs to take a serious look at these issues themselves, and figure out potential methods of self-policing. If they don’t, and we start hearing a lot more stories about other devices exploding, catching on fire or causing bodily harm, you can be assured that some politician or governmental agency will use the collective news to start imposing much more challenging requirements. As the old saying goes, better safe, than sorry.